Location: All RasaMas Restaurant in Peninsular Malaysia. Not available at RasaMas KIOSK. 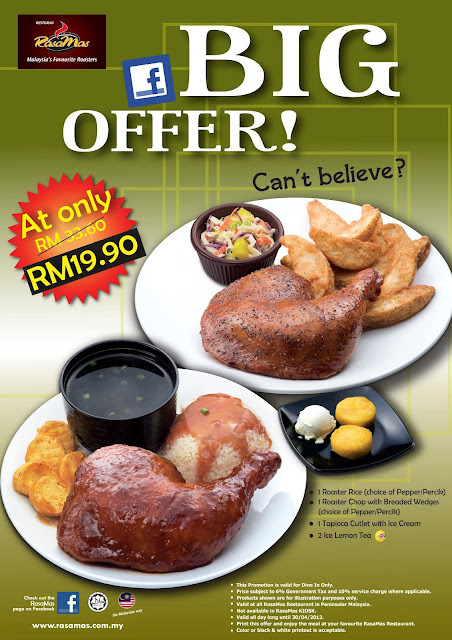 This promotion is valid for dine in only.